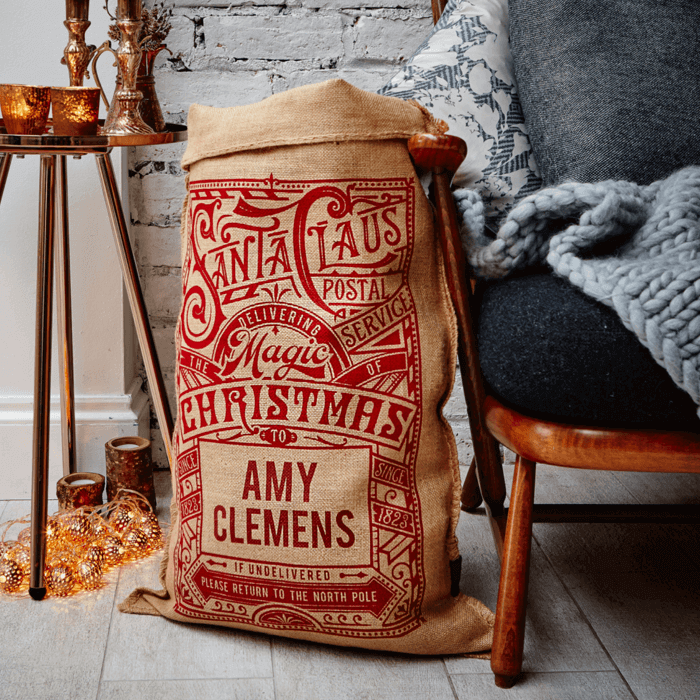 We’ve gone to the town on the illustration here, which features a dramatic design printed in red on our classic hessian sack. The ornate serif type completed the traditional feel. Receive 2 for my grandsons, very happy with them and cannot wait to see their faces on Christmas morning.